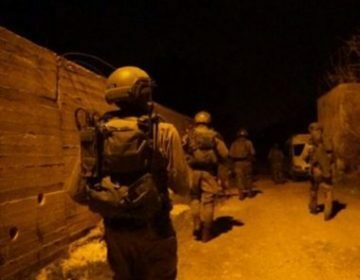 The Palestinian Prisoners Society (PPS) has reported that Israeli soldiers have abducted, overnight and during early morning hours Thursday, nine Palestinians in different parts of the occupied West Bank, amidst violent invasions and searches of homes. 1. Nidal Mohammad Nofal, former political prisoner from Qalqilia. 2. Abdullah Jihad Bani Odah, former political prisoner from Tammoun in Tubas. 3. Moath Khaled Daraghma, former political prisoner from Tubas. 4. Luay Rashed Daraghma, former political prisoner from Tubas. 5. Ayman Abu Arab, from al-Am’ari refugee camp in Ramallah. 6. Ahmad Ayman Abu Arab, from al-Am’ari refugee camp in Ramallah. 7. Ahmad Abdul-Hai Dari, from al-‘Eesawiyya in Jerusalem. 8. 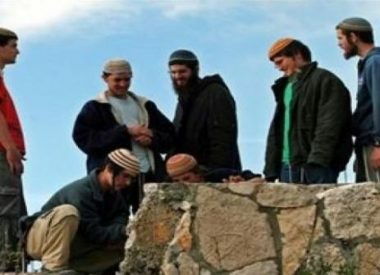 Arafat Abu al-Hamam, from Silwan in Jerusalem. 9. Ahmad Sharif al-Heeh, former political prisoner from Surif, in Hebron.